Common ailments and chronic illnesses in our pets are steadily on the rise. Most veterinarians agree they are seeing more serious illnesses than ever before, not only in older pets, but also in young animals. They are seeing more chronic diseases at all ages, including cancer. More animals have weakened or dysfunctional immune systems. Veterinarians are seeing more animals with allergies, skin problems, digestive problems, joint problems, and even behavioral problems. Conventional veterinary treatments include antibiotics, NSAIDS and steroids. These can be highly effective, but can cause serious side effects when given in high doses or for long periods of time. 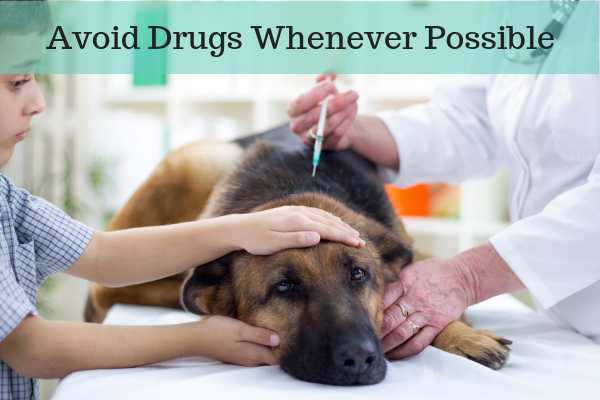 Try to avoid treating your dogs with drugs whenever possible. Reserve these conventional treatments for severe cases, or when gentler therapies to relieve your dog’s condition won’t work. You should also discuss regular blood tests with your veterinarian to monitor whether the drugs are compromising your dog’s liver function. Standard drugs have the potential to cause frightening problems not only with the liver, but also with the heart, kidneys, skin, immune system, and digestive tract. Sometimes the side effects can be worse than the disease! Even a single round of antibiotics can disrupt the bacterial balance for as long as a year in humans, and it is probably not much different in pets. Antibiotics work by blocking vital processes in bacteria and as a result, kill not only the “bad” bacteria, but also the “good” bacteria. This disrupts the delicate ecosystem and creates a bacterial imbalance, which can damage the lining of the intestinal walls, leading to a condition known as leaky gut. Certainly we cannot live or survive without antibiotics, but there are situations when we should not use them or give them to our pets, like when there are no evidence-based reasons. Antibiotics should only be used when really, really necessary. Again, just one round of antibiotics in healthy individuals and healthy animals contributes to the risk of resistance development and can lead to long-lasting detrimental shifts in the gut microbiome. I recently went to the dentist who told me I needed a root canal and referred me to a specialist because of the somewhat unusual positioning of the root. I was handed the referral slip along with a prescription for an antibiotic which I was supposed to start taking. I told the dentist I don’t want to take the antibiotic. He acted somewhat surprised to hear my response, but agreed it might not really be needed. I was told this is standard procedure and that the specialist will probably not do the root canal if I go there and haven’t started the antibiotic. The specialist did the root canal and when it was done, he said it all went well and the antibiotic is not necessary. I am glad I didn’t start taking the antibiotic as I was instructed by my regular dentist. This is a perfect example of a situation where there was no evidence-based reason for the antibiotic. It was simply prescribed as a precaution, and I would have taken the risk of compromising my gut health. A similar situation occurred not to long ago when I took one of our Dachshund’s to the vet. I was concerned because all of a sudden she was struggling with urinating. We thought perhaps Trudy has a urinary tract or bladder infection, but the test at the vet were negative. The vet however, wanted to prescribe an antibiotic treatment anyways, just in case. Again, there was no evidence-based reason, and I did not give Trudy the antibiotic. A couple of days later, her urinating was back to normal. Conventional methods and drug therapies often just suppress symptoms and only provide temporary relief. The cause of the health issue is often not determined and the disease continues to destroy tissues at even deeper levels. This is true in both, human and veterinary medicine. When I was experiencing my own health crisis, I ended up with an autoimmune disease because for many years my doctors were just treating symptoms while my health was deteriorating. No doctor ever looked past the symptoms. That is when I lost faith in conventional medicine and turned to alternative medicine. Alternative medicine uses an approach that revolves around a central concept as old as the art of healing itself. The concept that each person, each living thing, possesses on a deep level the will and intelligence to be healthy and that these elements can and should be enlisted in effecting a cure. Martin Zucker’s book Natural Remedies for Dogs covers many safe and effective alternative treatments and healing techniques from the nation’s top holistic veterinarians. He interviewed many veterinarians who were becoming frustrated with some of the limitations of medicine as they were taught in veterinary school. They were frustrated with the fact that the standard treatments used, often caused disturbing side effects without significant relief. Many of these veterinarians started learning more about holistic methods and have been involved with alternative medicine ever since. After learning and applying alternative methods, they were often able to turn sick pets around, optimize their health, extend lives, and improve the lives of severely ill animals. For example, one of those practitioners treated an old, arthritic Collie with vitamin C along with an injectable combination of vitamin E and selenium. The dog responded very well to this alternative treatment and was soon walking up and down the stairs again. Before, the owners had to carry the dog up to the second floor bedroom each night, and they were so impressed with the remarkable reversal of the arthritic condition. Our dog Wilma, a Black Lab mix who lived to over 16 years of age, started experiencing pain and discomfort in her hips and joints the last couple of years of her life. Our veterinarian gave her monthly injections with a homeopathic pain medication along with vitamin C and vitamin E. She would also get acupuncture and cold laser treatment as needed. I am convinced that Wilma was able to live a long live because of the good nutrition we provided for her, but hip and joint problems can’t be avoided with that breed at an old age. I am glad we turned to alternative medicine with Wilma as she was aging. I have no doubt that the side effects of drugs with conventional treatments would have shortened her life. You are what you eat and digest, and the same holds true for our pets. Any holistic veterinarian would probably agree that dry food is a major offender because it is a concentrated collection of many of the foods that are the most allergenic to pets. Many dogs cannot tolerate the ingredients in dry food and the rejection is often expressed in common ailments and chronic health problems. If you are reading the ingredient label on your dog’s food, that is awesome. Keep in mind though that there are other factors than the quantity of proteins, fat, carbohydrates, and added vitamins that make up good dog food. It’s the freshness, wholesomeness, energy, and digestibility of the food that is also important, and that is what is lacking in most commercial pet foods. Thankfully, there are some more natural and better choices available, if your only option is to feed commercial pet food. Do your research and choose the best option in this pet food category. We used to have a pet store, Petropolis in Sarasota, and some of our customers have seen dramatic improvements in their dogs’ health simply by switching from a mediocre commercial food to a higher quality product. 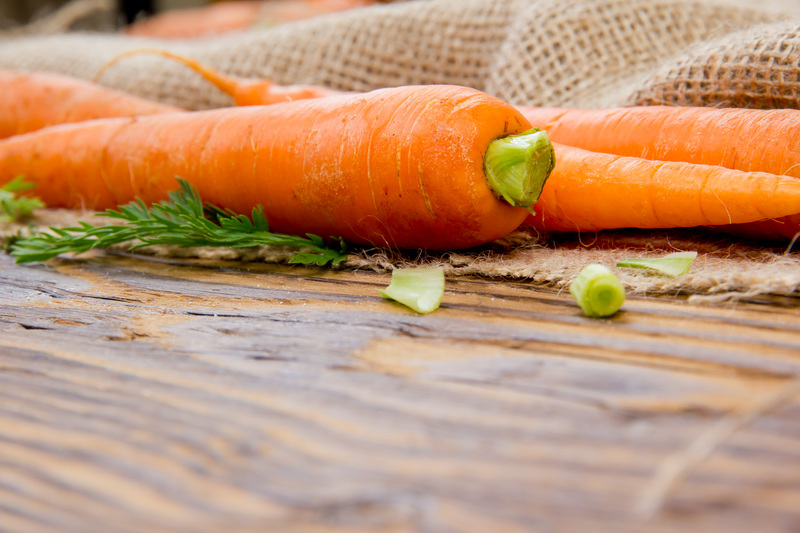 To experience an even more dramatic improvement in your dogs’ health, consider adding wholesome nutrition like Olewo Carrots and Olewo Red Beets to your dogs’ meals. These dehydrated vegetables are highly digestible and provide a wide array of nutrients from whole foods. The benefits of this added nutrition will show up in your dogs as increased vitality, improved skin and coat, and decreased illness. Sign up for out monthly newsletter with helpful tips on how to deal with Dog Diarrhea, Digestive Issues, Skin Allergies and Itching, and to receive notifications of special savings events! Sign up for our monthly newsletter with helpful tips on how to deal with Dog Diarrhea, Digestive Issues, Skin Allergies and Itching, and to receive notifications of special savings events! Copyright © · 2017 Olewo USA. All rights reserved. Copyright © 2017 Olewo USA. All rights reserved.